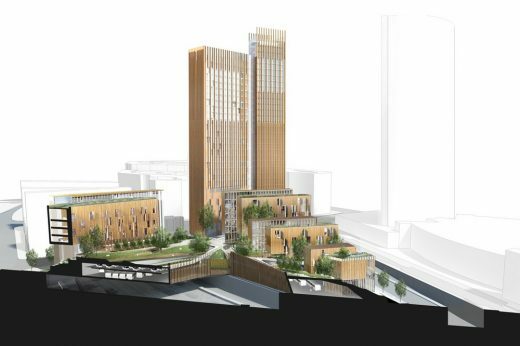 16.08.2018 – The world’s tallest wooden building is groundbreaking for more than just its height. When Mjøstårnet was to be built, Moelven employed a completely new and untested assembly technique. “Outsiders may perhaps think that there is great risk involved in using a new assembly method on such a large and prestigious project. 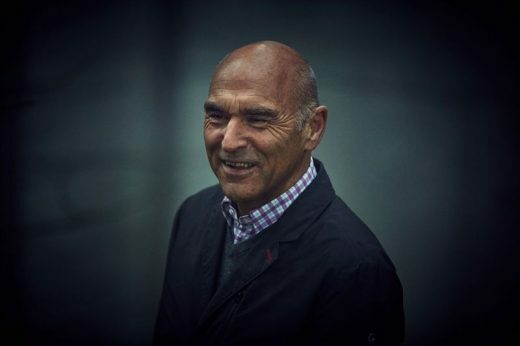 However, following many years of development, we were ready to take a new step,” says Rune Abrahamsen, director at Moelven Limtre. 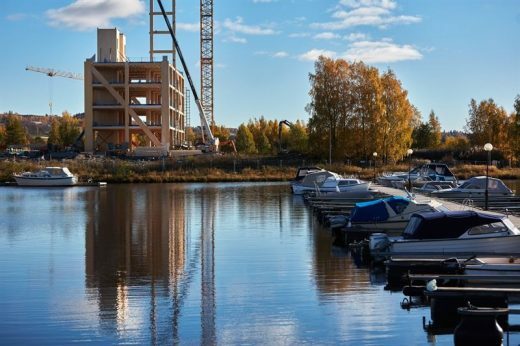 Mjøstårnet will be Moelven’s second world record in terms of tall wooden buildings. In 2014 the apartment building Treet was completed in Bergen. 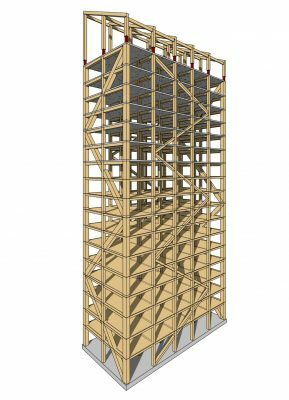 The structure, with a height of 51 metres across 14 storeys, was first assembled at the factory in Moelv before being transported to the building site for final assembly. 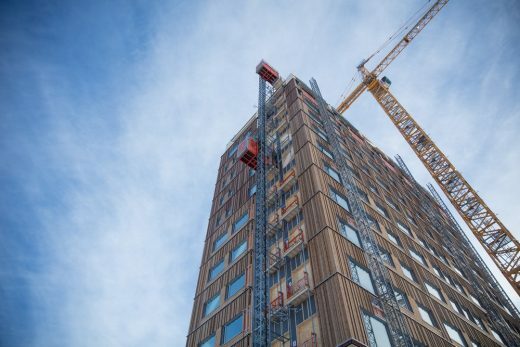 However, with Mjøstårnet the beams are taken directly to the building site, without any form of trial assembly. “This is accuracy taken to the extreme. The beams arrive fully processed at the building site, and there they have to fit down to a millimetre. There is no scope for errors in the assembly. The principle almost like Lego for grown-ups. All of the pieces have specific place and must fit,” Abrahamsen says. 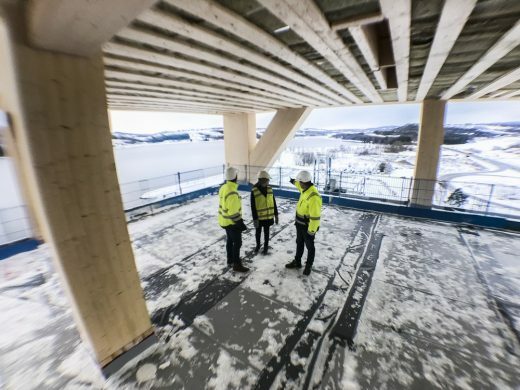 This construction method also ensures that building Mjøstårnet is much faster. 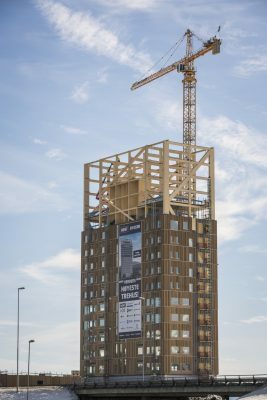 When the world’s tallest wooden building is completed in March 2019, Moelven will have hoisted several hundred glulam beams into place in the structure over the course of 10 months. 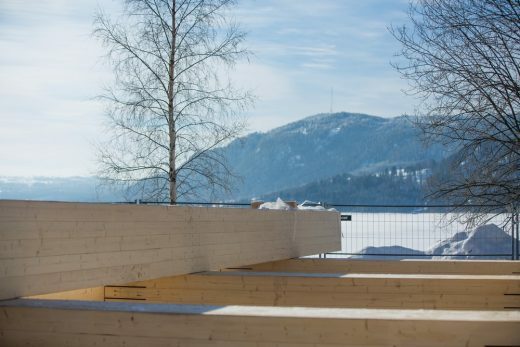 “This assembly method is very efficient in terms of time, and will become the new standard for glulam structures like this,” Abrahamsen says. The actual assembly has taken place using a large crane at the building site. No external scaffolding has been used. When Moelven has hoisted the glulam structure into place, several storeys have been hoisted at once. “We’ve hoisted 4-5 floors at a time. Then we’ve complemented them with Trä8 flooring elements. 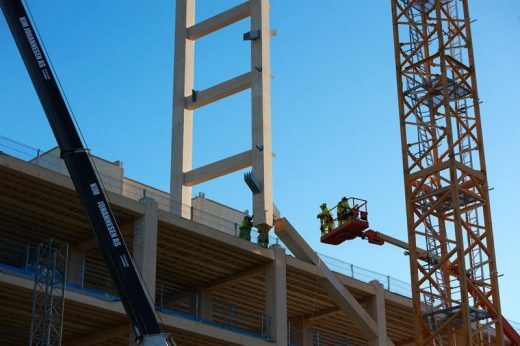 These are really huge structures, and it’s an incredible feeling to watch almost 20 metres of the building’s height being hoisted into place in one go. 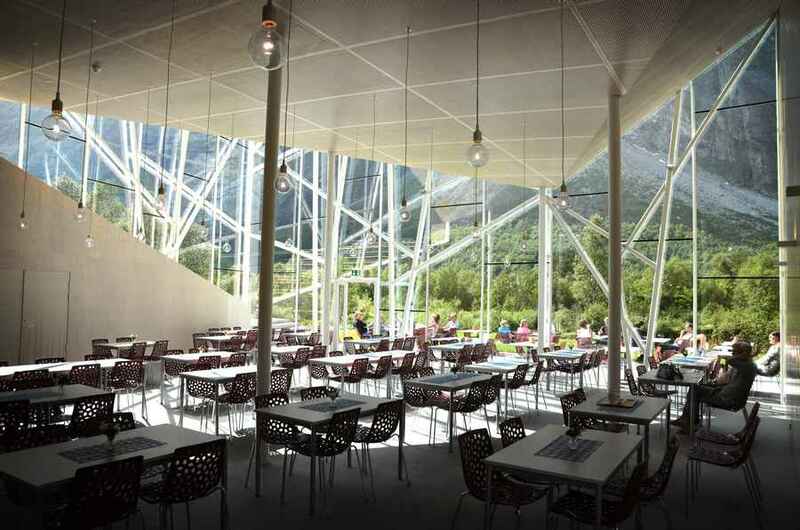 Both the building and our pride grow in tandem,” says head of assembly Lars Ivar Lindberg of Moelven Limtre. 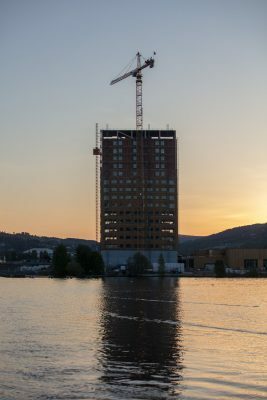 “Mjøstårnet” will be more than 80 metres tall and stand 30 metres higher than what is today considered the world’s tallest timber building.